Fitting fitness in is always a problem. It’s why the US is among the fattest nations on the planet, with two thirds being obese. Staying accountable can be difficult, especially if you don’t have any friends who are willing to make sure you get on your feet every day. But your fitness tracker could be the accountability partner you need to keep you moving. They are different from the simple counters that measured your number of steps previously. They do so much more, and this article is going to show you why your fitness tracker is your accountability partner you desperately needed. Your fitness tracker is far more advanced than ever before. They do more than just track the number of steps you have taken. Put one on your arm and you can find out everything from your current heart rate to the number of calories you have burned. You can even find out your average walking speed. The more you are willing to pay for a fitness tracker the more features you are going to get from it. Furthermore, you can wear them all day whether you are working out or not. Get into the habit of slipping it on at the start of the day and measuring your results at the end of the day. Many trackers will even automatically post your results to the cloud. Yes, the more expensive ones can even connect to the Internet in order to log your results. Humans are logical creatures and they depend on a clear line between success and failure to know how they are doing. The fitness tracker is the ultimate way of doing this. Let’s say that you want to walk 10,000 steps every single day. You either walk 10,000 steps every day or you don’t. There’s no grey area, and that’s what makes the fitness tracker so effective. Many people will purposely walk more steps just so they can reach their measurable goals. Additionally, unlike tracking your steps on your iPhone, your fitness tracker is always with you so you can be 100% sure that you have reached your goals. Accountability to something is so effective because of the psychological effect it has on people. Many fitness freaks feel guilty when they miss a session at the gym, even if they happen to be sick with flu and they absolutely couldn’t make it. 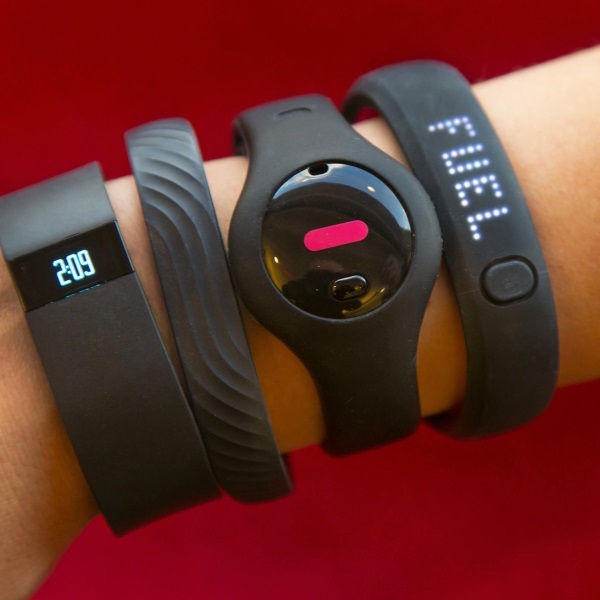 Your fitness tracker can have the same psychological effect on you. When you don’t meet your targets you will feel guilty. Rather than making you feel ashamed, it will encourage you to walk more the next day. It will encourage you to go out of your way to do more. That’s what keeps people going in their quest for fitness. It’s the numbers that are important. Due to the changes to your psychology, the fitness tracker will turn your fitness into a game. As the hours tick down and you have realized that you are still a few thousand steps short of your goal, you will try to find ways to increase the number of steps. Now you are actively looking to take the stairs instead of the elevator. You are looking to see if you can leave the car and walk the rest of the way home. These changes won’t exist just when you are wearing your fitness tracker. They will become engrained within your mind. You will be naturally adopting these mannerisms for years to come without thinking about it. And that signals a massive change in your life. You are not going to get fit and healthy just by walking a few thousand steps every day. A fitness tracker can take care of the fitness side of things, but it isn’t going to take care of everything else. Diet makes up the vast majority of the fitness journey. If you are not eating right, you are not going to burn off those pounds. Make sure that alongside a new fitness regime you are adopting a different diet. You should always be thinking about what goes into your body because you are really what you eat. If you can’t do this, it doesn’t matter how many steps you decide to walk per day. A fitness tracker can completely turn your life around, if you let it. Make sure you adopt some new habits today by investing in one of the many fitness trackers available today.